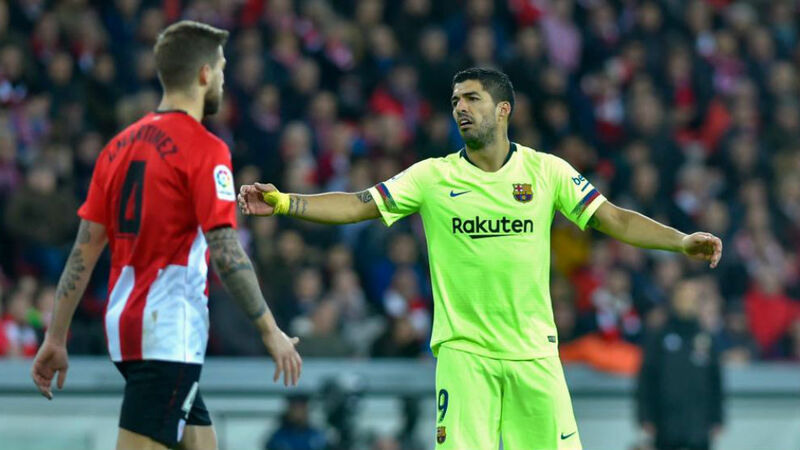 Athletic Club took two points away from Barcelona on Sunday evening in a match that could have repercussions for the LaLiga Santander title race, and Luis Suarez has pointed to the Blaugrana suffering from a lack of communication at the Estadio San Mames. With Real Madrid having leapfrogged their rivals Atletico Madrid with Saturday’s derby victory it was imperative for Los Cules to maintain their significant advantage at the summit of the table, but they simply could not break down a tough home defence. “In the first half we suffered from a lack of communication,” he explained in his post-match interview. “This is something we have to correct, we lost possession and didn’t talk to each other. The Catalan giants had their goalkeeper to thank for keeping the match level, with Marc-Andre ter Stegen making a string of fine saves, something which didn’t escape the Uruguayan forward. “That’s why he’s one of the best,” he admitted. “He’s shown it once again, he stopped them scoring. After being left out of the starting line-up in the Clasico, Lionel Messi was restored to the team at the Estadio San Mames, although Suarez was quick to rebuff claims that the Argentine was not fit enough to play. “If he played, then it’s because he’s at one hundred percent,” he intimated.